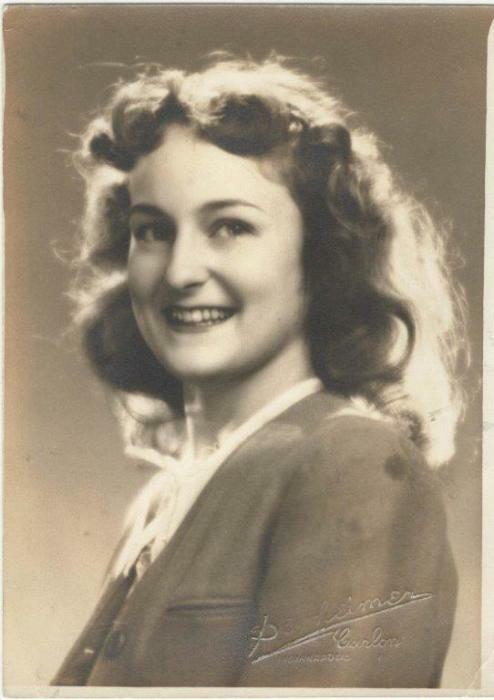 Joycelyn I. Swepston, 89, of Dallas, passed away Friday, November 16, 2018 at The Meadows Nursing Center, Dallas PA. Born April 12, 1929 in Indianapolis, Indiana, Joycelyn was the daughter of the late Charles and Julia Williams Colson. She graduated from Shortridge High School, and attended Herron Art School of Design at Indiana University. She and her husband Harry owned Techweld Incorporated, Kingston, PA.
Joyce was a member of Trinity Presbyterian Church, Dallas where she was a Member of the Church Choir, and many of the church’s charitable organizations. An accomplished artist, she was a member of the Cider Painters of America, and was a talented quilter. Joyce loved music, singing, card playing, puzzles, planting trees, bird-watching, gardening, and was a fabulous baker. She was preceded in death by her husband Harry Swepston Jr., her brothers, Conrad and Charles Colson, her son-in-law Donnie Hains, and her nephew Charlie Colson. Surviving are her daughters, Julia Hains, Fort Worth, TX, Polly Anne Butler and her husband David, Vernon, Pa., Cynthia Williams and her husband Michael, Dallas PA, Sons, Harry Swepston, III and his partner David Terwilliger, Las Vegas NV, James Swepston and his wife Kathleen, Dallas PA, and Charles Swepston and his wife Anne Jones, Dallas PA. Also Sister, Patricia Sharp and beloved grandchildren, Caitlin, Jocelyn, and Megan Alexander, Erin Swepston Ross, Julena (Dexie) Biggerstaff, Sara Swepston, Charles Swepston, and Michael Williams. Memorial Service will be held Sunday, November 25, 2018 at 05:30 PM at Trinity Presbyterian Church, Dallas. Friends may call at Trinity Presbyterian Church November 25, from 04:30 PM until the service. Arrangements are under the direction of The Richard H. Disque Funeral Home, Inc., 2940 Memorial Highway, Dallas. In Lieu of flowers, memorial donations may be made to Trinity Presbyterian Church, P.O. Box 239, Dallas, Pa. 18612 or Back Mountain Memorial Library 96 Huntsville Road, Dallas, Pa. 18612 or Back Mountain Regional Fire & EMS 184 E Center Hill Rd Dallas, PA 18612.